I love pasta, especially freshly made pasta. I have only tried to make it myself once, and although it was very tasty, it took quite some time as I made it without using a pasta machine. 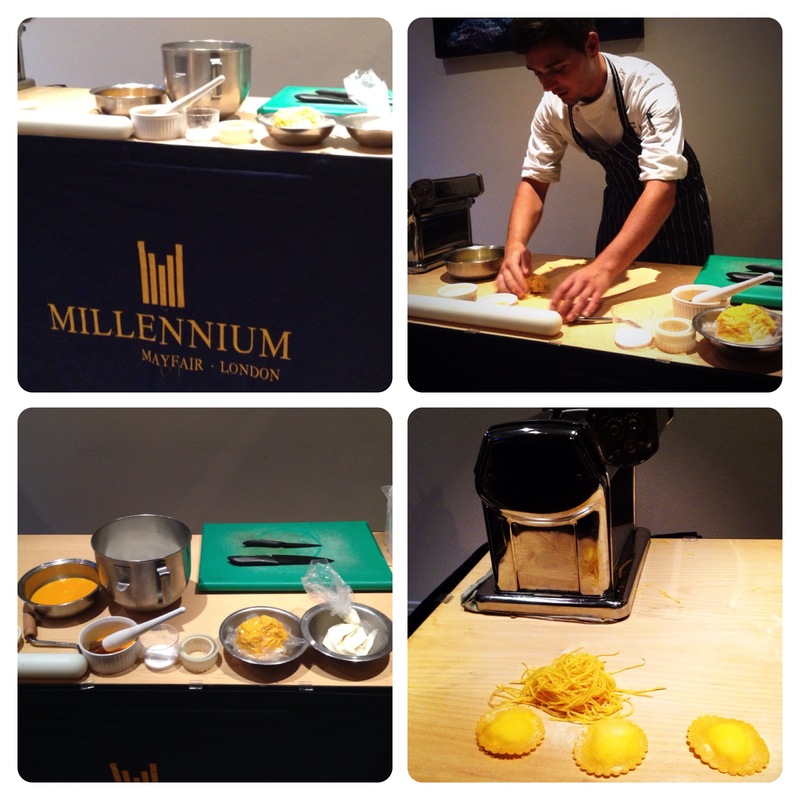 A couple of weeks ago, I received an invitation from Millennium Hotels to attend a pasta making workshop at the stylish Mayfair Hotel. The Millennium Hotel London Mayfair is a gorgeous 18th century London mansion, which was built as a stately townhouse, overlooking Grosvenor Square Gardens and situated in the heart of fashionable Mayfair. 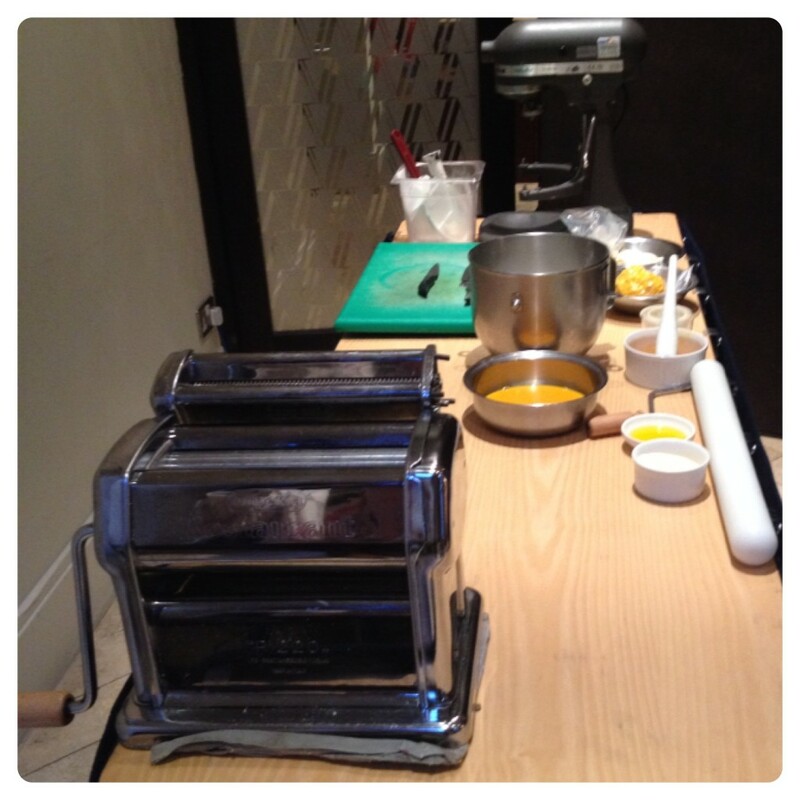 The workshop included demonstrations and instruction from a chef from the award winning AVISTA restaurant, in which we were shown how to make pasta from scratch using a pasta machine. I must say the chef made it look very easy to create pasta out of flour, egg and oil, with a touch of salt. I even had a go at the pasta machine and it seemed straightforward. I am now convinced I need a pasta machine for Christmas! 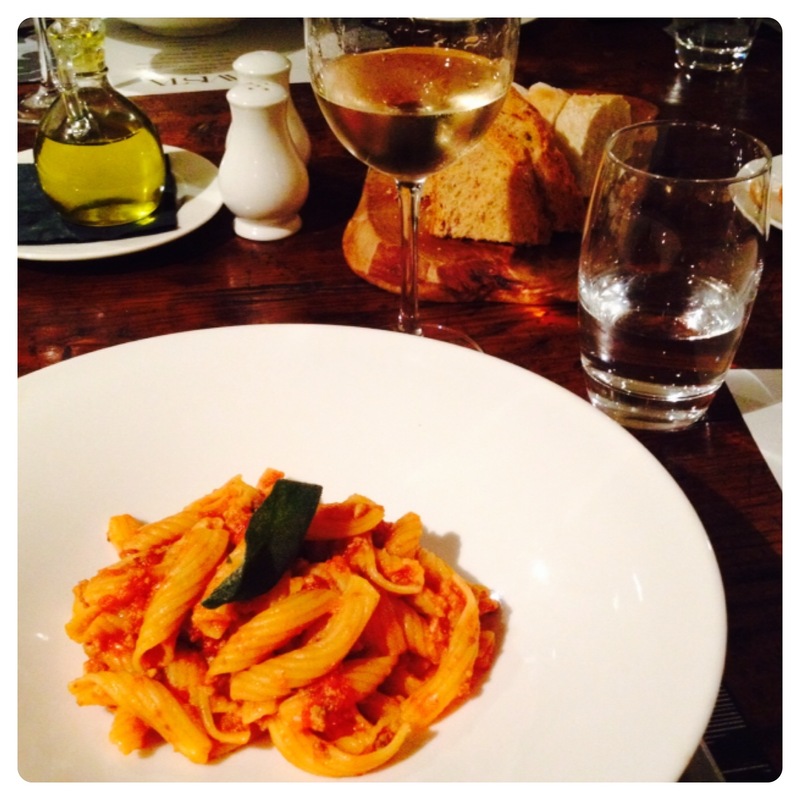 After the pasta workshop, we were treated to a lovely meal at the AVIVA restaurant. I was looking forward to our meal, since AVISTA has been awarded two rosettes from the prestigious AA Food Guide. Its Head Chef is Michele Granziera won the award for his superb mix of rustic and refined regional Italian cooking. The meal was very enjoyable, I had Marinated Salmon Ceviche as a starter, the dish was beautifully presented and it tasted just as good as it looked. 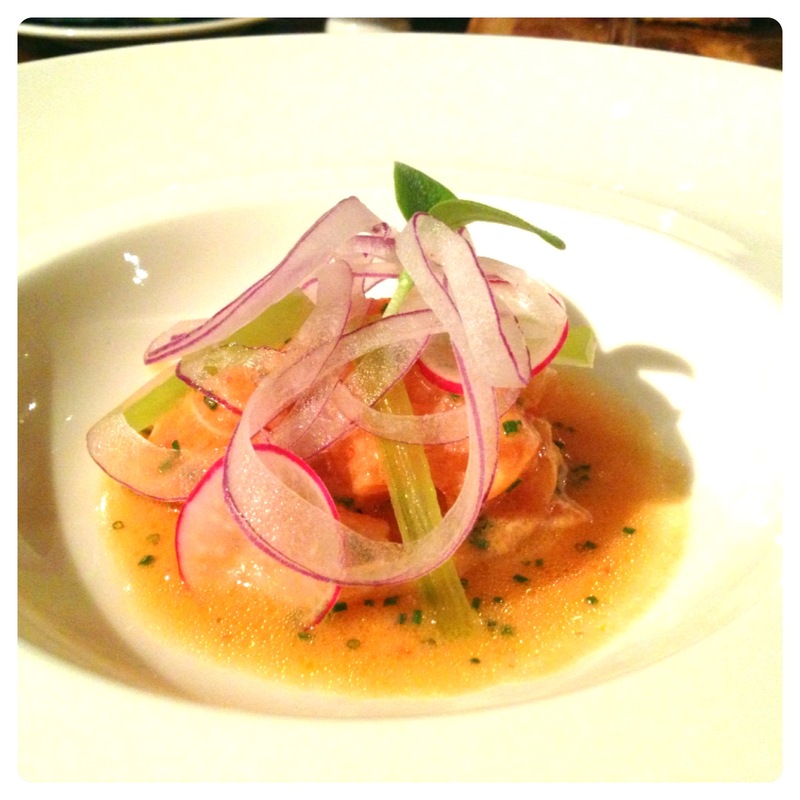 The Marinated Salmon Ceviche was full of flavour and seasoned to perfection. Since we had a pasta workshop, I wanted to try their pasta, and it was even nicer than I expected. Then I picked Garganelli Bolognese as main course, the Bolognese sauce was very tasty and the pasta was beautifully cooked. I finished my meal with a lovely Passion Fruit Brulee for dessert, which was served with half of a passion fruit on top of the crème brulee. One of my favourite desserts is crème brulee as I simply love the combination of texture, creamy on the inside, and crunchy on the outside. 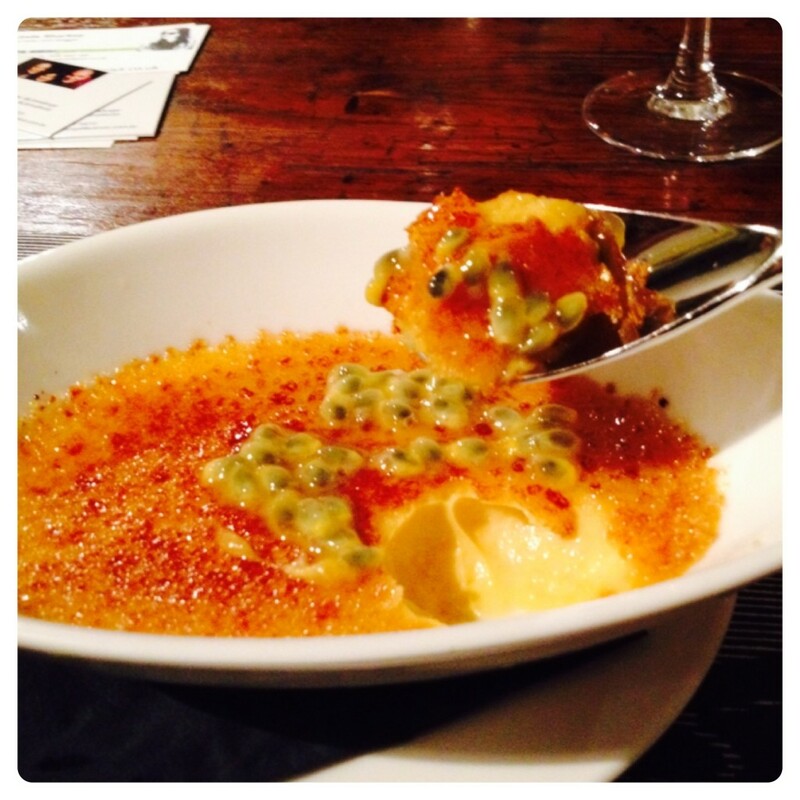 Passion Fruit Brulee was creamy and fruity, a great ending to a beautiful meal. Overall, I had a lovely time at the Millennium Hotel London Mayfair, the pasta workshop was very enjoyable, followed by a delicious three course meal at the AVIVA restaurant. Thank you very much to Millennium Hotels for inviting me to a wonderful evening! 2 Responses to "Pasta Workshop at the Millennium Hotel Mayfair"